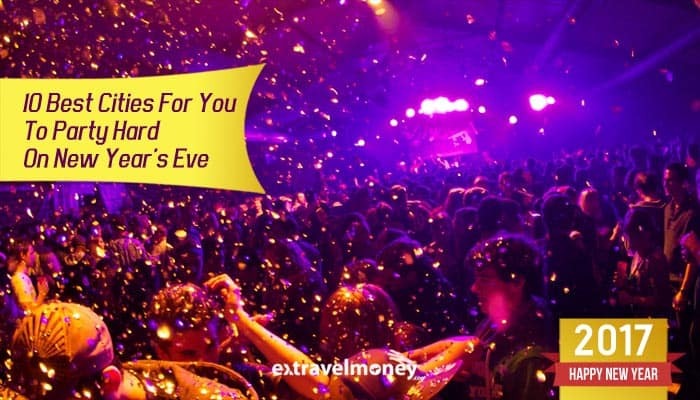 10 Best Cities For Indians To Party Hard On New Year’s Eve! Another revolution of the earth around the sun, and here we are at the end of the year. New year’s eve is a time for celebration with lights, sounds and insane partying and finishing it off in grand style. 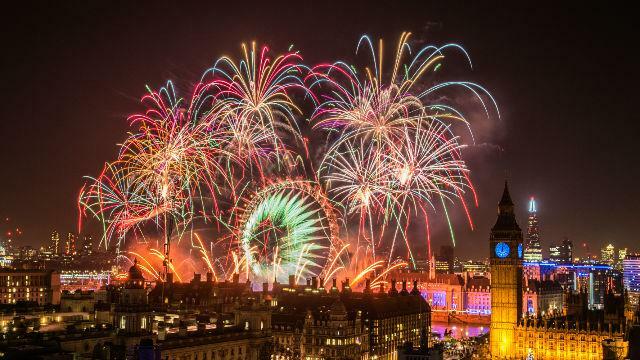 Let’s take a look at 10 best cities around the world for party animals to spend new year’s eve! 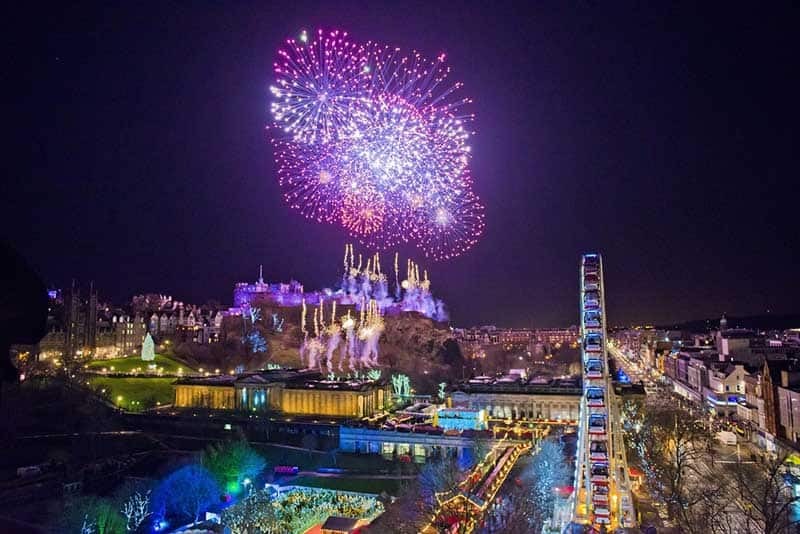 New Year’s in Edinburgh is a very enthusiastic business. Welcoming the new year, a few brave people on the 1st of January jump into the freezing waters of river Forth as part of an old Scottish tradition. There are massive street parties held and people parade the city with torchlights, singing, dancing and having fun. With Christmas and New Year’s coming one after the other, the mood in London is very festive. On 31st December, more than 2,50,000 people position themselves along the banks of the Thames and begin the countdown to Big Ben striking at midnight. Prepare to be dazzled by the fireworks displays that goes off when the clock strikes 12. 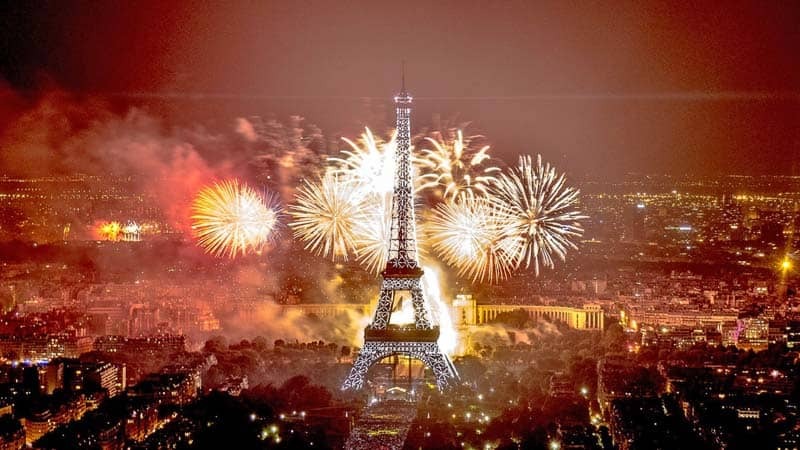 The city of love lives up to its nickname on New Year’s Eve. Couples take romantic boat cruises along the river Seine to glimpse the spectacular light show and fireworks display. The Eiffel Tower comes to life with lights arranged from top to bottom shining in the night. The massive street party on the Champs-Élysées has champagne bottles opening everywhere, drinking to the upcoming new year. Yes, it’s our own party capital of India, Goa! 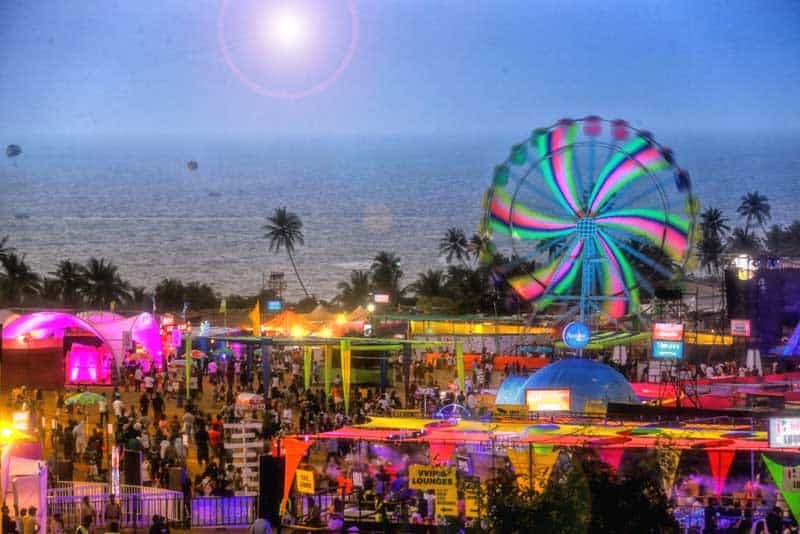 Every New Year’s eve, Goa gears up for a big party by the beach with people from around the world. There is singing, dancing, partying, fireworks, eating and live concerts by big-name artists. Even when the sun goes down, the party does not end. Expect New Year celebrations to be a bit subdued this year as Thailand is under the mourning period of 100 days after its king Bhumibol Adulyadej passed away. 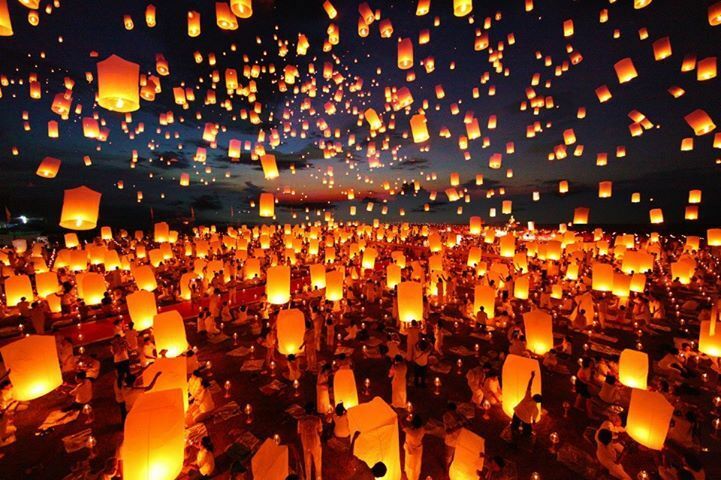 Head to Chiang Mai for celebrating the new year by Thai traditions, releasing lanterns into the sky to bring good luck and prosperity. You can also unleash the party animal in you by attending the Full Moon party on the beautiful Koh Phangan island for a night of crazy fun! Here are some of the amazing places to visit in Thailand later. If Dubai had its own quote, it would be “Records are meant to be broken”. 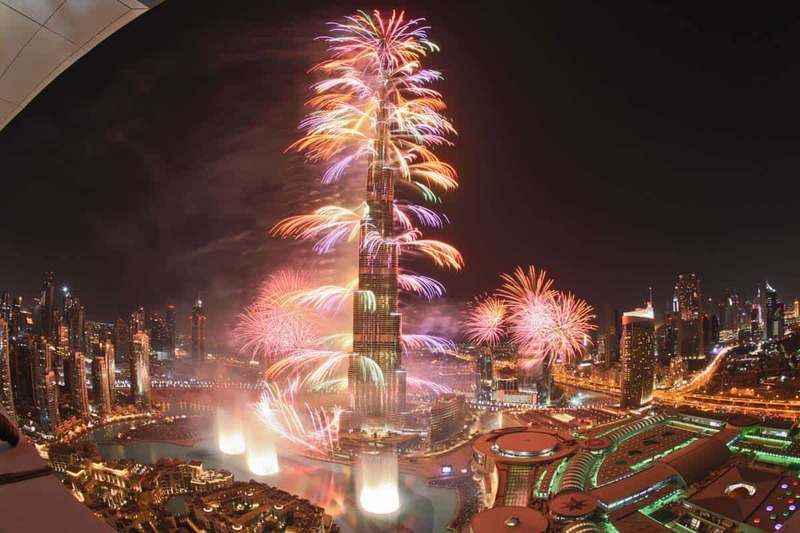 In 2014, Dubai broke the world record for the largest firework display with 4,79,651 firework shells released, which lasted for a total of 6 minutes. Watching this feat from the world’s tallest building, the Burj-Khalifa is a grand experience which you should not miss. 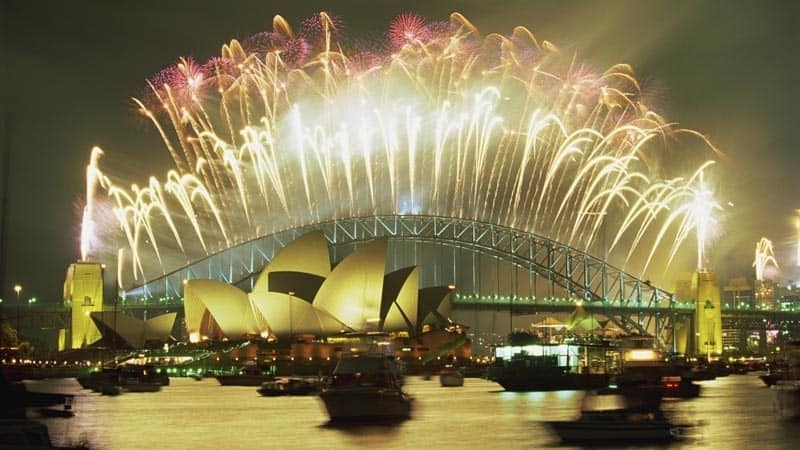 If you want to be one of the 1st people to celebrate New Year’s, then head over to Sydney. It’s one of the 1st major cities where the clock strikes midnight. More than a million people throng the waterfront for watching the aerial acrobatics and participating in an aboriginal smoking ceremony believed to cleanse bad spirits. The fireworks show in front of the Sydney Opera House and Harbour Bridge is on the biggest in the world! 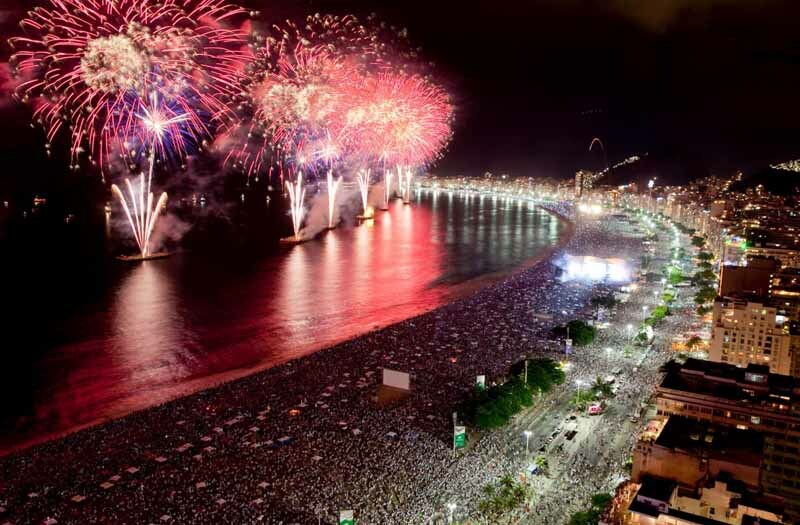 Rio De Janeiro is the carnival capital of the world and New Year’s Eve is one among its top celebrations. The residents of the city dress completely in white ( for good luck) and gather at the Copacabana beach to offer flowers to the sea goddess Yemanjá. As the clock strikes twelve, the event is rounded off with a brilliant fireworks display that lights up the whole beach. Las Vegas, the city of lights is one of the craziest places to be on Earth on New Year’s Eve. A city built only for the purpose of having fun, it offers you plenty of opportunities for gambling, drinking, dancing and seeing the largest gathering of celebrities around the world. 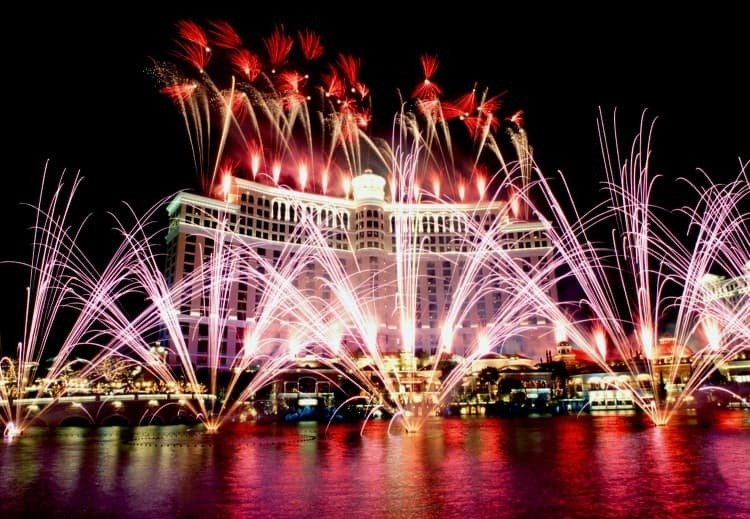 When the countdown reaches zero, the casinos there like The Bellagio, MGM Grand, Caesars Palace and The Venetian launch a spectacular coordinated fireworks display that is well worth the visit. And finally, we have on our list New York city! With people from all around the globe as its inhabitants, it has the moniker the capital city of the world. 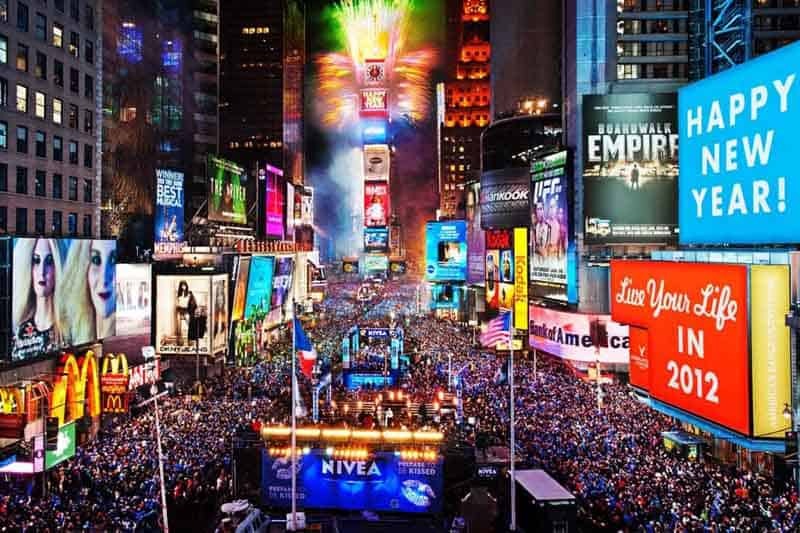 Times Square in New York is one of the best places to celebrate new year’s eve on as the mass of humanity from different countries get together and chant in unison 10,9,8…! A once in a lifetime experience that you must not miss.